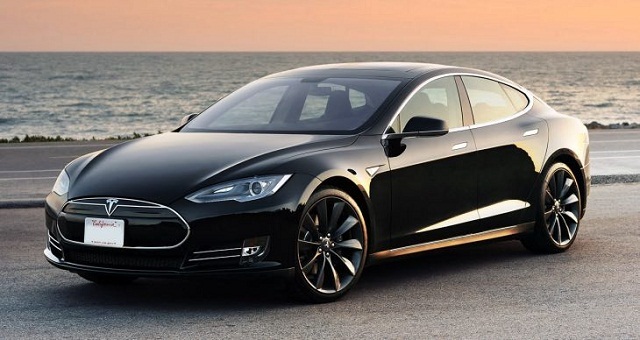 The term “Teslapathic” is about to enter the green-vehicle lexicon. A quartet of UC Berkeley students who call themselves Cal Hacks 3.0 says they have created a program that can crudely make a Tesla Model S electric vehicle go and stop via “mind control,” Devpost says. Whether this is a good thing or something Franksensteinian is open to interpretation. The science behind the experiment is rather advanced for the technically challenged, but it involves an EEG headset, an analog signal that’s transmitted via an RC radio broadcast, and signals sent to “linear actuators” attached to the brake and accelerator pedals. In a nutshell, the hackers were able to create algorithms based on data from brainwave activity when the person in question is thinking “stop” or “go.” The hackers are also talking about a gyro attached to the steering wheel, but that’s all too much for now. The bottom line is that the four hackers used a 36-hour span to get the Model S to move using telepathic command, and they’ve posted a short video of the car in action. No word on whether the hackers will try to telepathically get the car to do donuts. One of the four hackers is Casey Spencer. Mr. Spencer made news on these pages last year when he became the first person to get a Tesla Model S to go more than 500 miles on a single charge (the sedan is rated to go as far as 265 miles). Spencer achieved this feat by driving the car at a rather leisurely cruising speed of about 22 miles per hour, and keeping that pace for about 20 hours. Maybe next time, he won’t have to even sit in the driver’s seat.